“I loved the shows I saw growing up, ‘Family Ties’ and ‘Growing Pains’ and ‘The Cosby Show,’” she says. “None of those were about a Latino family, but I could see myself in those families.” Eventually, she decided that it was time to write about her own Cuban family. The show seamlessly transitions between witty one-liners—like Lydia referring to a tissue as a “Latinx”—and serious, topical issues like gun control and immigration. Ms. Calderón joined Lear along with Mike Royce, who worked on “Everybody Loves Raymond” and “Men of a Certain Age,” to bring the series to Netflix. In 2017, Season 1 of “One Day at a Time” was released. The show brings audiences into the life of a single, Cuban-American mother, Penelope Alvarez (Justina Machado), living with her family in Los Angeles. Penelope, a former Army medic dealing with post-traumatic stress disorder, is raising her daughter Elena (Isabella Gómez) and her son Alex (Marcel Ruiz) with help from her mother Lydia (Rita Moreno). In the first season, we see Penelope acknowledge her P.T.S.D., begin therapy and get a divorce. Elena comes out as gay to her family, and Lydia struggles to keep her family in the church. In Season 2, we watch as Alex struggles with what it means to be a person of color in the United States after being told to “go back to Mexico” on a school trip, Lydia becomes an American citizen, and Penelope begins a romantic relationship. The show seamlessly transitions between witty one-liners—like Lydia referring to a tissue as a “Latinx”—and serious, topical issues like gun control and immigration. One of the most refreshing parts of the show is its treatment of Catholicism. The Alvarez household is full of religious imagery, from crosses on the wall to pictures of John Paul II and explicit references to Pope Francis. Much of the show’s treatment of Catholicism is due to Ms. Calderón’s own upbringing. She grew up in a devout Catholic family with positive examples of faith and leadership both within and outside the church. She also credits her education at Loyola Marymount. For many Latinos, the family they see in “One Day at a Time” is the first time they see their culture on television. Another important theme “One Day at a Time” focuses on is mental health. Issues like depression, P.T.S.D. and generalized anxiety disorder are common within the Latino community, yet, according to surveys, less than 15 percent of Latinos in the United States will speak with a mental health specialist. Growing up, mental health was not something that was openly discussed in Ms. Calderón’s family. For many Latino families coming to the United States, Ms. Calderón believes, mental health issues are often seen as struggles everyone goes through in life, or, if they are acknowledged, they are not prioritized. Ms. Calderón hopes that she can continue to change the industry for future female and Latino showrunners. 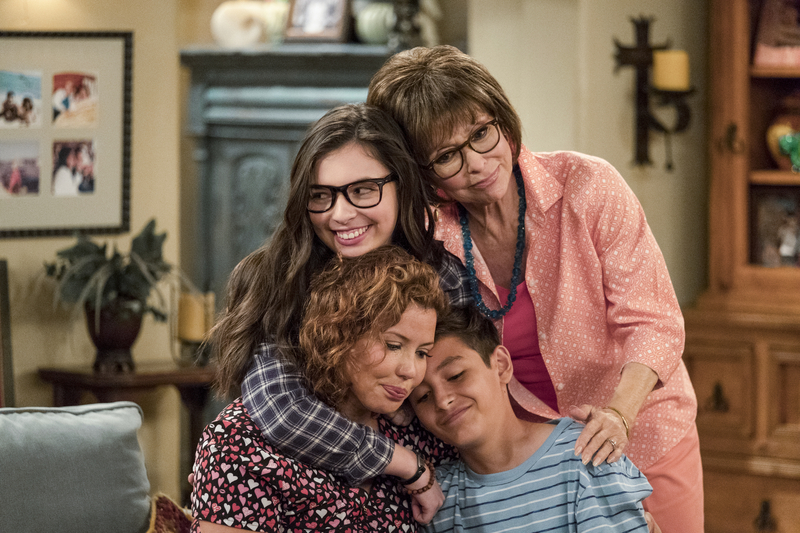 Indeed, for many Latinos, the family they see in “One Day at a Time” is the first time they see their culture on television. As, you mentioned that One Day at a Time focuses on mental disorders like depression, anxiety, P.S.T.D, etc. There are people like psychic like Voyance Pure( http://www.martine-voyance.com/qui-suis-je ), tarot card readers, counsellors;who can help a person suffering from these problems come out of it. There are other ways to available on the internet that can help a person come out of their problems. This article also appeared in print, under the headline "Getting Latino life—and religion—right on ‘One Day at a Time’," in the April 2, 2018 issue.